If you are owning a wordpress blog or going to start WordPress blog and use WordPress open source CMS to your website then here is the best WordPress Security plugins to secure your website. 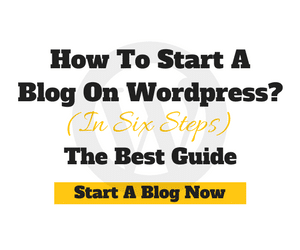 WordPress is one of the best publishing open source platform which has 25% of websites throughout the world. Even though WordPress has a well and best-specialized team, who are constantly checking and fixing security issues but always got some holes which give hackers to do their job easily. There are various way which can create your blog more vulnerable and some common reason for the vulnerability arises from plugins, themes and wordpress core files. What makes your website more vulnerable? 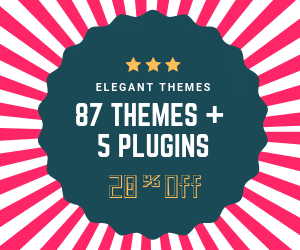 Using nulled themes and Plugins. Not Updating WordPress, Themes, and Plugins. To protect your website from malware attacks avoid which I have mentioned in points. Let’s learn to secure wordpress websites by installing top security wordpress plugins to your websites. MalCare is new malware protection premium plugin for websites by the Blogvault company to backup websites and here is my unbiased MalCare review and tutorial about how to scan and remove malware simply with one-click. MalCare uses 100+ signals to identify malware automatically and detects malware quickly and removes it early. This is, of course, a premium WordPress security plugin with different pricing according to the plan. The best feature from MalCare is it doesn’t overload your server and runs smoothly. You can remove malware or virus with one-click of cleaning and it has several features to protect your website from hackers. MalCare also got premium backup service from which you can backup and restore whenever you want. This service is absolutely free. So for paying one service, you get two services for absolutely free. So get this best Premium WordPress Security plugin now to protect your websites from hackers and thank me later. One of the tops downloaded security plugin by wordpress users, and I feel personally wordfence would benefit all users by protecting websites from every attack. Wordfence offers free plugin and can be updated to premium if you need maximum protection. Most of all free version contains adequate tools to protect websites so from view using free version is more than enough. Wordfence will continuously protect your website by running 24/7 and alerts you anytime through email when suspicious activities found. Or your wordpress website is already hacked? They have best Security experts to locate and remove the infection from your website at affordable rates. And many users having positive reviews about using wordfence security plugin. Ithemes Security wordpress plugin is formerly better WP Security protect your websites by 30 ways. One of the recognized top wordpress security plugins with more than 800,000+ active users around the globe protects their websites. It automatically blocks users who were ever trying to access your website and scans and fix the issues automatically when infection is found. Usually, hackers will add some codes or files in your file, and ithemes Security will alert you when it detects any changes have been done. Blocks IP on multiple logins failed attempts. Hides Login and Admin Url. Set a particular time to make wordpress dashboard not to work. Take your website to the next level by using All in One WP Security & Firewall wordpress Security Plugin. Like the name “ALL In One” it contains every form of security features your website should have, and the dashboard of the plugin is neat, so it makes easy to access. In some case, the security plugins will cause the website to load slowly, but this plugin doesn’t slow downs your Pc. Automatically locks IP address of User who tries to access with false information. Monitor failed login attempts with Time and User’s IP address. Instant database backup with one-click and automatic backup scheduling. Captcha login for wordpress login. Blocks user from accessing readme.html, wp-config.php etc. Block user by IP and country. Loginizer is a special wordpress security plugin to prevent your website from brutal attacks. More than 400,000+ active user are using this plugin to secure wordpress websites. Worried about consecutive login attempts to hack your site I recommend this plugin to install right now. Blocks IP after several failed attempts. The user can set questions to answer as a secondary challenge. Rename Wp-admin and WP-Login page to prevent an attack from bots. Passwordless login – Sends temporary wordpress login URL to your mail address. Sucuri Security which I almost use for many of my websites which I feel to scan to find traces of malware infections. To scan Your website ( http://sitecheck.sucuri.net/ ) and enter URL and hit scan website button. It will start to find any malware infection or any security issues, Out-of-date software, website errors. Audit Logging – Keep an eye on who is logging and what changes are going on. File Integrity Monitoring – Compares two different state of a single file and reveals which file is causing an error so you can keep the good one. Security Blacklist Monitoring – Monitor your site with major blacklisting brands( Norton, AVG, ETC) and whitelists your website from them. Contact sucuri security through their website if your website has been hacked already and not able to solve it.The best expert team always there to clean your website and restore it back by paying some bucks. BulletProof Security plugin is another best security plugin for wordpress which now more than 100,000+ users using it to secure wordpress websites. The plugin has both free and pro version you can buy on the official website. Login security and Dashboard Alerting. Finds hidden files and folder and alerts through email. These are some of the free plugin features, but Pro contains additional and super features. Acunetix Secure wordpress is one of the best and free tools that helps to secure your wordpress website regularly without any vulnerabilities. After activating the plugin, it will start to scan your website deeply to find and report any flaws found in your site. This plugin supports current wordpress version, and you can install it right now without any conflict. Live traffic tool to monitor real activity. For non-admins, you can set some limits. Live Online vulnerability scanner to scan your website and reporting results to your email id. Give your details, and you will receive your scanning results through email. Shield WordPress Security is the highest rated wordpress security plugin it works with the maximum capability to secure wordpress websites. Currently, more than 50,000+ users are using it to protect from vulnerabilities. This plugin is simple to use for beginners and professionals, and it has many powerful features to safeguard your websites. You can use free and also Pro version as well if you decide to buy it. Hide Admin and Login URL. Automatic updates can turn off or on for themes, plugins, and core. Providing detail audit log for viewing activity. Security is the biggest concern for website owners to protect the sites although wordpress core is secure more than thousands of blogs are hacked daily. When wordpress core team is always creating new ways to protect the wordpress core at the same time hackers finding equivalents to break their code. So to protect your website, you need this best WordPress Security plugins to secure wordpress blogs from hackers and malware infections. Installing any one of the above plugins which are suitable for your blog are more than enough. MalCare is the one I am using to protect this blog, and it’s totally worth of having such powerful tool and works like a charm. So which WordPress security plugin do you going to use? Then drop the tool name in the comment box. And you know any plugin worth to have a spot in this list, please drop the name in the comment box. It keeps on checking our website for malware infection. It has ability to scans all the files of our WordPress core, theme and plugins. It also scans our posts and comments for malicious code. Most important is that it can check the traffic on our WordPress website in real time and see if there is any security threat attacking our website. Eventually, thanks for exploring these services and surely very helpful for people to choose perfect one. Thanks Amar kumar for your long comment, Yes wordfence is the most powerful wordpress security plugin to protect our websites.